Votes counted in Pakistan election Jump to media player Votes are being counted in Pakistan, after a historic election that should lead to the country's first transition from one elected government to another. 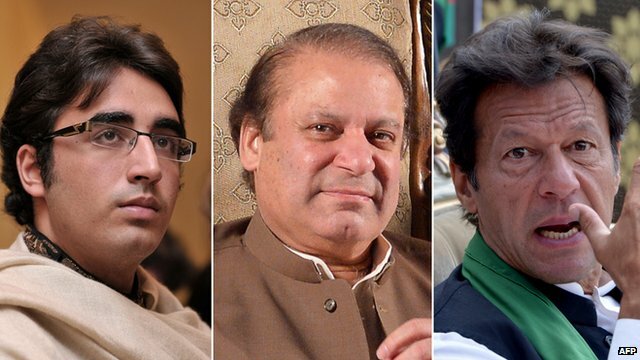 Pakistan's election - in 90 seconds Jump to media player Pakistanis go to the polls this weekend for a landmark parliamentary election after a campaign hit by violence. Will a history of coups and conflict be put to rest? 'The queues grow steadily longer' Jump to media player Lyse Doucet reports from a polling station in Islamabad where, despite threats of violence against the electorate, queues of voters are forming. 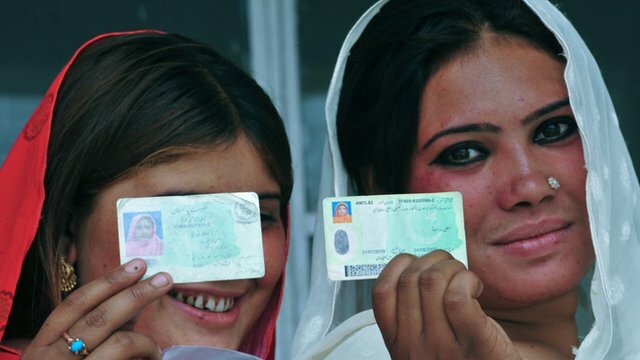 Votes are being counted in Pakistan, after a historic election that should lead to the country's first transition from one elected government to another. Media projections based on partial results suggest a big lead for former PM Nawaz Sharif's Muslim League. Mr Sharif has already claimed victory. The turnout was huge but the poll was marred by violence. In Karachi, the Pakistan Taliban said they planted a bomb which killed 11 people and wounded 40 others.